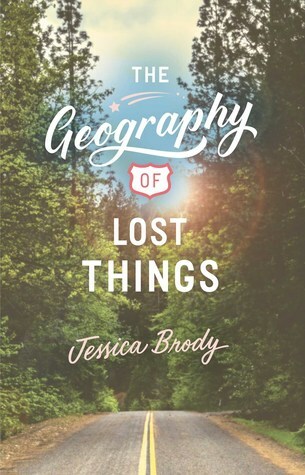 The Geography of Lost Things releases today, and I’m so excited to celebrate with an interview from author Jessica Brody! Hi Jessica! Thanks for stopping by my blog today! Thanks for having me, Jordan! Super excited! Let’s jump in with a little about the book! How would you describe The Geography of Lost Things using only five words? Road Trip. Muscle car. Ex-boyfriend. Haha. I kind of cheated with that hyphenated word, didn’t I? The Geography of Lost Things features a fun adventure of trading up items. What inspired you to write this story? Have you do anything similar? I was actually inspired by One Red Paper Clip, the true story of a guy who took a red paperclip and literally traded it up, via a series of bigger and better trades, to a house! When I heard about that, I was like, “that has to go in a YA book somehow.” I was just waiting for the right book. Then when I thought up the story of a girl trying sell the car that her estranged father left her in his will, I thought, “Bingo!” The two concepts were a perfect match, as they both center around the things we value and the things we’re willing to give up. Through Ali’s travels she meets strangers and finds out why they value certain objects. What is one item that you value that may seem insignificant to others? Every good road trip needs an epic playlist. What are your go to songs while on the road? Ali and Nico travel up the Pacific Coast on their adventure. What kind of research was involved for this road trip? Have you traveled up the Coast like this before? Yes! I actually took the very same road trip that Ali and Nico do in the book. I’ve always really wanted to set a road trip book along the Pacific coast—from San Francisco to Seattle—but I’d never actually done that drive. So as soon as my editor approved the synopsis of the book, my husband and I flew to California and did the trip. And we actually visited a lot of the same places that Ali and Nico do. Before we go, is there anything you can tell us about your next writing project? Heck yeah! I’m so excited about the next one. I’m heading back to the sci-fi genre, but this time, I’m going off-world, baby! 🙂 My next book, Sky Without Stars, releases March 2019. It’s a sci-fi reimagining of Victor Hugo’s Les Misérables, set on a distant planet!!! (Les Mis in Space!) It’s the first in a new trilogy called the System Divine series. I co-wrote it with one of my best friends, Joanne Rendell, and we had so much fun together! We’re currently writing book 2, Between Burning Worlds, which will come out in 2020. Jessica Brody is the author of more than 17 novels for teens, tweens, and adults including The Chaos of Standing Still, In Some Other Life, Addie Bell’s Shortcut to Growing Up, A Week of Mondays, 52 Reasons to Hate My Father, and the three books in the sci-fi Unremembered trilogy. She’s also the author of the Descendants: School of Secrets series, based on the hit Disney Channel original movie, Descendants. Additionally, Jessica’s first non-fiction book, Save the Cat! Writes a Novel (a plotting guide for novelists) will release in Fall of 2018. She lives with her husband and four dogs and splits her time between California and Colorado. I’m very excited for this book. I LOVE road trip books and this one sounds so fun and unique. Also doing that drive up the coast (and down) has been on my bucket list for years. I agree that this one sounds so unique! I can’t wait to read it! I am very excited to read this book. On my TBR already! Me too! I love the road trip aspect so much! So excited to read this book, sounds great! I agree! I can’t wait to read it! I loved this book so much, and one of the things that captivated me was the trading up. It was cool to learn the inspiration behind that. Great interview! Thank you! I’m glad that you enjoyed this book so much and that you liked reading this interview! I had a lot of fun coming up with these questions.